Just like the early stages of gum disease, gum recession is often painless at first and does not affect everyday life. Since it happens at such a gradual pace, it often goes unnoticed and untreated for long periods of time. This is dangerous, however. Receding gums can lead to a number of health and cosmetic issues that can be complicated and expensive to treat. Patients suffering from gum recession in Fair Oaks, CA should contact Dr. Andrea Joy Smith as soon as possible. Patients suffering from gum recession in Fair Oaks, CA are encouraged to contact Dr. Smith to schedule a consultation today! 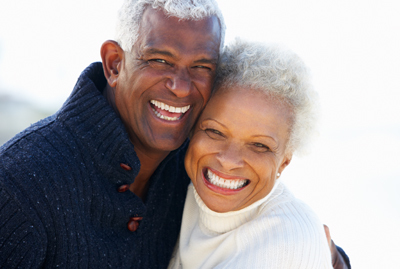 Gum recession can quickly lead to a number of aesthetic issues. A lower gum line leaves a larger area of the tooth exposed, specifically the root, and creates the appearance of “long” teeth which makes some patients self-conscious. Additionally, a larger exposed area makes any stains or discoloration more apparent than normal, as the roots tend to be darker in color than the crown portions of the teeth and collect stain more easily. Since the gum tissue acts as a protective layer against bacteria, a receding gum line can actually be serious as it makes the teeth more susceptible to decay. The roots are not as dense as the enamel, which covers the crown portions of the teeth, and can develop decay more quickly. In many cases of gum recession and gum disease, the underlying bone structure can be affected by the bacteria in your mouth and start to break down. When a significant amount of the jaw bone deteriorates, a condition known as “vertical collapse” can occur. This means that the bottom jaw shifts upward while the nose and cheeks shift downward, creating a perpetual frown. In addition to protecting your teeth from bacteria, gum tissue also serves to help hold your teeth in place. When severe bone loss and resulting gum recession occur, the teeth may begin to shift out of alignment and create bite problems. Over time, your teeth may be lost due to a lack of support. When the gum tissue recedes, it will not grow back or regenerate on its own. Patients suffering from gum recession in Fair Oaks, CA are encouraged to contact Dr. Smith to schedule a consultation today!